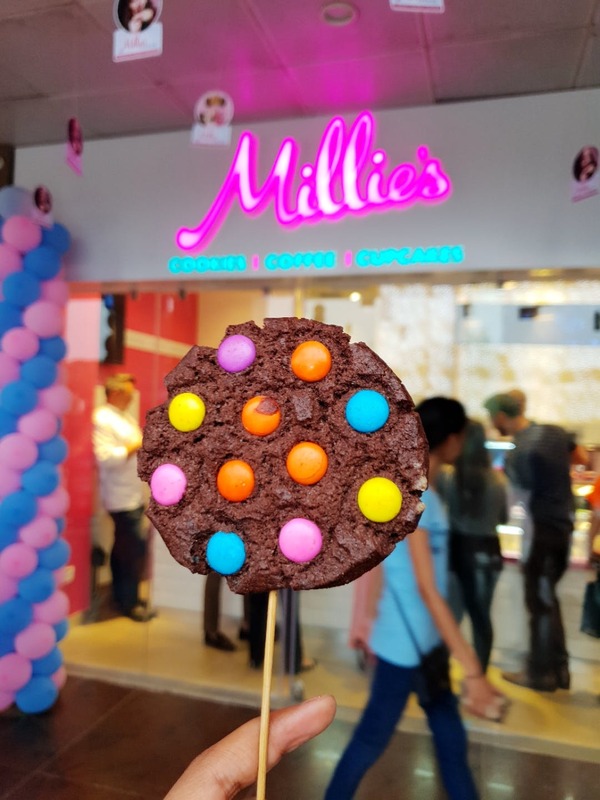 Millies Cookies is a newly opened cookie store in Select Citywalk. It is a famous cookie brand from the UK. I was delighted to taste their sweet delectable range of cookies, brownies, and cookie sandwiches. My top picks from their menu are the KitKat cookie, oreo cookie, and double chocolate cookie. I also loved their brownie which had the perfect amount of sweetness. They also specialise in giant cookies- you can get them personalised too. A special mention for their incredible cold coffee, it makes for the perfect treat to beat the heat. If you are a cookie lover, then your sweet tooth definitely deserves a visit here. PS - There is no seating available. Cheesecakes can be avoided as they were way too sweet.